CAYMAN ISLANDS’ COTTON TREE PARTNERS WITH CAYMAN LUXURY CHARTERS GIVING GUESTS A FUN-FILLED BOATING EXPERIENCE WHILE STAYING AT THE UPSCALE BOUTIQUE PROPERTY. Spend four nights at the Cayman Islands’ only luxury boutique cottage hotel and enjoy a day of boating on the Caribbean Sea. • Space for up to 14 passengers. • Professional photographer (additional cost for photo package). 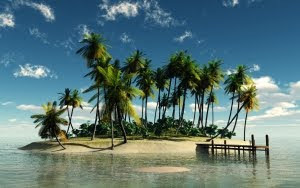 • Ideal pick-up and drop-off location at Calypso Grill (with transportation to Calypso Grill provided by Cotton Tree). • Fresh fruit and light snacks. • Water and soft drinks. • Bait and tackle for reef fishing. • Snorkeling gear including fins, mask and snorkel. • All safety equipment for your personal safety. • Complimentary Wi-Fi, local calls, and housekeeping services every day excluding Sunday. • A pre-stocked selection of regular and decaffeinated coffee, bottled water, tea, milk, sugar, orange juice and assorted cereals). • Concierge services are also available to guests seeking to customize a personalized vacation, as are sommelier services and a personal chef who is also available to make gourmet meals in the privacy of a cottage. All meals can be accompanied by wines selected by Cotton Tree’s sommelier. About Cotton Tree: The Cayman Islands’ new luxury hideaway, Cotton Tree offers four pastel-hued, plantation-style beachfront cottages in a lush garden setting of tropical flowers and avocado, guava, mango and cotton trees for which the hotel was named. Owner Heather Lockington, a global traveler who was born in the Cayman Islands, built her dream property in West Bay, the northernmost point on Grand Cayman. Four 1,600-square-foot, two-bedroom cottages resemble fully equipped houses featuring “Caribbean chic” décor, classic contemporary furnishings, French doors overlooking the sea, plasma TVs, state-of-the-art Kitchen Aid appliances, and more. Additional amenities include a freshwater swimming pool, fitness center and yoga and spa pavilions nestled among seagrape trees, perfect for a sunset massage. A personal chef can whip up gourmet meals accompanied by wines chosen by a sommelier, or Cotton Tree is a quick drive to Grand Cayman’s best restaurants. Hotel services such as a reception/concierge, bellhop, housekeeping and turndown on request are also featured. 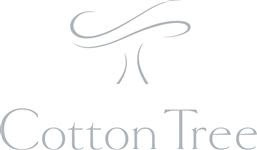 Cotton Tree is recommended by Conde Nast Johansens and was recently accepted into Small Luxury Hotels of the World, an exclusive group of more than 500 of the finest small independent hotels in more than 70 countries.